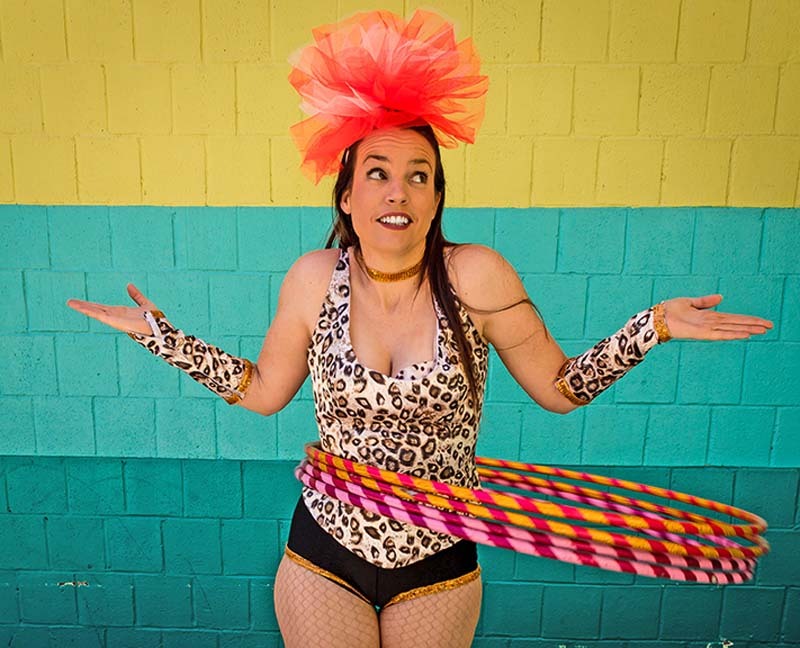 Kate is an actor, physical performer, MC and circus artist from Adelaide who has performed in 31 countries since she started touring in 2005 as a solo performer, in double acts and with theatre and circus companies. You may recognize Kate as the character Mimi from ABC 4 Kid’s popular TV show Hoopla Doopla. Everyone’s a winner when there’s hula-hoop fun for everyone. Come ‘n try hula-hoops and learn ticks to suit all people - five years old to 100 - in a Hula-hoop Disco Workshop party!